36 Year old Mr. Leen Osterloh is MA in Economics from University of Potsdam, Germany and Wharton School,University of Pennsylvania, USA. 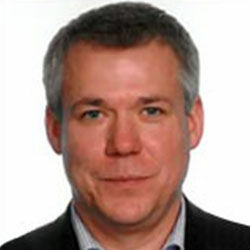 He is currently working as a CEO of Truetzschler Nonwovens since September 2010. Before that he had several years of experience in different management positions in leading international textile machinery companies in Germany, Italy, and India. TT: How do you foresee the outlook of Nonwovens Industry worldwide in 2011- 2012? Kindly highlight some of the recent technology developments by Truetzschler in this field. On a global perspective, Nonwovens is and will continue to be the fastest growing field in textile applications, showing a compounded annual growth rate of 7%. After a dip in the growth path during the global economic crisis, we now again see solid demand and growth figures. In the wake of increasing global wealth, the demand for nonwovens applications is inherent, thus above average growth for nonwoven applications is especially driven from developing countries. Furthermore, we see a tendency for substituting different materials by nonwovens. However, we will need to carefully monitor the prices and availability of raw materials. Once again, Truetzschler Nonwovens has set a new standard to the hydroentanglement industry and recently installed the first Fleissner Aquajet running at a line speed of 400 m/min, giving the customer a maximum return on investment. Despite our well-established and well-known equipment, we have introduced some further important innovations such as the Fleissner high speed binder bonding, our new Erko random card for natural fiber products and multi-layer products made with Fleissner Aquajet. Additionally, we will show some quantum leap innovations during ITMA in Barcelona. TT: What markets are you currently exploring for promoting investment in Nonwovens sector ? Demand is generally very high at the moment. It all starts with hygiene products, whether they are spunlaced, binder bonded or thermobonded. We see that products like filtration and geotextiles are rapidly becoming of increasing importance in developing countries. The market for filtration medias in China is already big and India is following in the same direction. Since Truetzschler Nonwovens is capable of supplying all major web forming web forming and bonding technologies we see a constant growth throughout the industry. TT: As per the recent statistical reports, India has witnessed a phenomenal growth of over 350% in last five years. What are the major bottlenecks in Indias growing market compared to that of developed markets? I have traveled to India several times in recent years and the growth is impressive. However, I think that India still has a lot of obstacles to overcome such as a necessary improvement of infrastructure and a focus on environmental sustainability. Furthermore, inflation will be a topic.